Peter Salerno’s Favorite Cinco De Mayo Drink Recipe: Tres Agaves Margarita – Design Your Lifestyle. April 2015 Peter Salerno, Inc.
It’s no secret that Peter Salerno’s favorite online recipe source is Epicurious (it’s been featured so many times on our blog, we’ve lost count!). So when it came time to find the very best 2015 Cinco De Mayo margarita recipe, Epicurious had the answer – of course! It is hotly debated when the margarita originated, but no one questions where the margarita is from – it’s as authentically Mexican as Cinco de Mayo itself. Did you know? Cinco de Mayo is NOT Mexico’s Independence Day (Sept. 16th), but rather a celebration of the day the Mexican Army defeated the heavily-favored French in the Battle of Puebla. 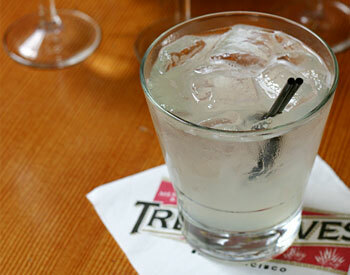 Enjoy this outstanding Cinco de Mayo drink recipe for the Tres Agaves Margarita. Thanks to Epicurious and Tres, Peter Salerno’s 2015 Cinco de Mayo just got much more delicious! In glass or small bowl, combine agave nectar and water, and stir until combined. In cocktail shaker filled with ice, combine tequila, agave nectar mixture, and lime juice. Shake vigorously, then strain into old-fashioned glass filled with fresh ice.